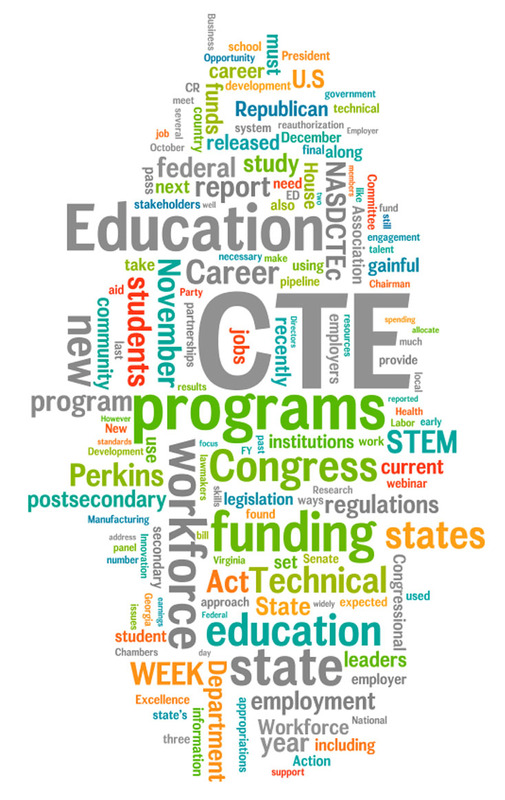 As CTE Month comes to a close, we’d like to highlight some states that promoted CTE Month onsite and in the virtual world throughout the month. 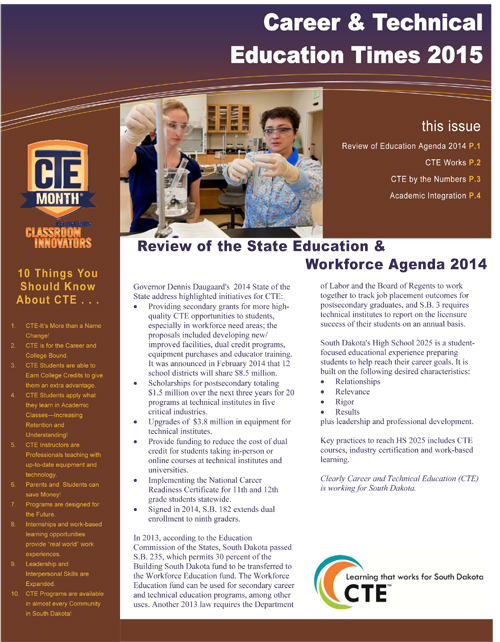 CTE Month was celebrated far and wide in New Jersey. A variety of schools hosted competitions, site visits and open houses, attended by US Reps. Tom MacArthur, Donald Narcross and Donald Payne. Governor Christie and Lt. Governor Guadango signed a proclamation designating February as CTE Month and the NJ Senate unanimously approved a CTE Month Resolution. Other states launched significant online campaigns, such as Utah, who posted a blog post highlighting CTE a student every weekday in February, and had a substantial social media presence throughout the month. Kansas also launched a social media effort promoting local activities using the hashtag #iSucceedwithCTE. 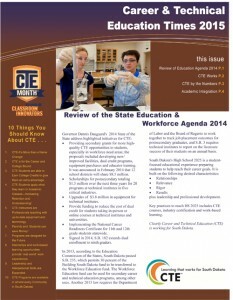 South DakotaÂ recognized CTE educators across the state in a weekly email blast and on the CTE Month webpage. Additionally, a webinar (recorded) was offered every Wednesday where educators shared best practices around topics from industry engagement to advisory committees. Students took part in a state-wide competition to create a CTE infographic, which received over 100 submissions. PennsylvaniaÂ also focused on promoting best practices by releasingÂ an e-book that promoted best practices and innovative concepts submitted by Pennsylvania CTE Centers and Schools. You can also catch up on our Twitter chat with the College & Career Readiness & Success Center here. Due to new college and career readiness standards, all teachers need to be trained and prepared to integrate learning opportunities into their lessons. CTE teachers are a viable resource, as providing real-world hands on training to their students is integral to their teaching. Teachers can focus on three areas to include technical and employability skills in their education. 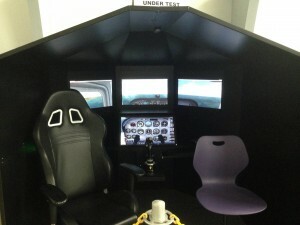 Students in Nashville, TN public schools are encouraged to take at least three Career and Technical Education courses by the time they graduate, often leading them to certifications they can use directly after high school and college credit if they decide to continue their education. Michigan awarded 18 community colleges $50 million towards equipment and training benefiting an estimated 34,000 graduates. Find out the top 10 metropolitan areas for engineers. This infographic shows how Ohio is preparing students to be globally competitive. The American Association of Community Colleges released an infographic on 2015 Community College facts. Association for Career and Technical Education hosted a school visit at Montgomery College where we heard from stellar students on how CTE has influenced their education and career goals, along with community partners and educators on what makes their programs of study such a success. In case you missed them, NASDCTEc held two webinars this month. First, we provided an overview of our 2014 State Policy Review, highlighting trends in policy in each state. Second, we took a deep look into Alabama and Kansas to see how they engage employers in CTE. This month we updated our YouTube channel with eight new videos. Seven are based on the workshops based on the book developed in partnership with the Center for Occupational Research and Development, â€œThe Career Pathways Effect: Linking Education and Economic Prosperity,â€ covering topics aimed at supporting CTE practitioners and leaders in the implementations and improvement of career pathways. The eighthÂ video provides an overview of the development process for the Common Career and Technical Core. When Lisa Barnett began working as a teacher 27 years ago she had no idea she would one day attend the State of the Union Address representing Career Technical Education (CTE) as a personal guest of Senator Tim Kaine, co-chair of the Senate CTE Caucus. After spending more than 20 years in the classroom as a business teacher, Barnett took on the role of Instructional Coordinator at Botetourt County Public Schools in Fincastle, Virginia where right away she discovered CTE was viewed as â€˜vocational education,â€™ and appropriate only for students not planning to further their education rather than critical education for all students. From there her passion grew and she became a fierce advocate for CTE. You can hear the pride in Barnettâ€™s voice as she describes her districtâ€™s impressive Standards of Learning (SOL) scores, high percentage of students earning multiple industry-recognized credentials and near 100 percent graduation rate of CTE students. She attributes her selection as Senator Kaineâ€™s guest at the State of the Union to the good work of the entire division. Though the event was a bit overwhelming for Barnett, attending the State of the Union Address allowed her to see how her role and the work of educators across the country is integral to the bigger picture, and was thrilled to see that CTE is a part of that conversation. Columbus is facing a skills gap particularly in health care and insurance sectors, New York City has over 33,000 jobs available in STEM fields, and Houston canâ€™t find employees for petrochemical and industrial and commercial construction jobs. Career Technical Education is a way to educate students in these fields, but even more needs to be done to insure industry needs are being met. This includes: the collection of real-time labor market data and working with industry leadership to determine their needs; better funding; and scalable solutions that can be adopted across fields. Check out our new CTEWorks YouTube page, where you can find CTE advocacy videos, along with seven video previews workshops based on the book developed in partnership with the Center for Occupational Research and Development, â€œThe Career Pathways Effect: Linking Education and Economic Prosperity,â€ covering topics aimed at supporting CTE practitioners and leaders in the implementations and improvement of career pathways. The College and Career Readiness and Success (CCRS) Center updated their interactive map to include eight territories including American Samoa, the Commonwealth of the Northern Marianas Islands, the Federated States of Micronesia, Guam, the Republic of Palau, the Republic of the Marshall Islands, Puerto Rico and the U.S. Virgin Islands, to showcase how these areas are improving college and career readiness. Check out the Association for Career and Technical Education for their variety of resources for CTE Month. Itâ€™s not too late to get involved, so make sure to take a look at their fact sheets, sample press release, CTE Month logo and more! We have Â heard of some great work going on across the country for Career Technical Education (CTE) Month! A number of states are usingÂ CTE Month as a time to raise awareness around the importance of CTE. The Missouri Department of Early and Secondary Education is runningÂ a 30 second radio spot throughout the month to help educate the public on the value of CTE Month, while the Maine Department of Education released an article in the Commissioner’s update. AlsoÂ Alaska, Michigan, North Dakota, Virginia and Wisconsin proclaimed February at CTE Month. Some states took advantage of the CTE: Learning that Works for America campaign resources, like Michigan, which requested all Department of Education employees to use the CTE Learning that Works for Michigan logo. In addition, South Dakota Career and Technical Education Association developed a newsletter (thatÂ you can see to your right) Â delivered to all legislators in the state, also using the Learning that Works branding. Other organizations held grassroots events, like Salem Vocational Technical FFA Chapterâ€™s road-side clean up and leadership conference and Seymour Community High School’sÂ school tour, whichÂ was featured on the local news. CTE Month is also a time to celebrate! The Indiana Department of Education held their 31st Annual Awards for Excellence Ceremony honoring students, instructors, programs and partnerships in CTE. The Virginia Department of Education and Virginia Community College System launched the Career and Technical Education Creating Excellence Awards to recognize programs, committees and business and industry partnerships at local, regional and state levels. Itâ€™s thrilling to see all the excitement and good work going on from the national to grassroots levels in communities around the nation. Itâ€™s not too late to send us what youâ€™re doing so that we can promote your excellent work too! Email your CTE Month activities to kfitzgerald@careertech.org. Congressman Jim Langevin (D-RI), co-chair of the Career and Technical Education Caucus, showed his support for Career Technical Education. Â â€œIt is long past time to re-authorize the Carl D. Perkins Career and Technical Education Act, and I look forward to working with all my colleagues on this important legislation,â€ said Langevin. Learn how to use the CTE: Learning that Works for America campaign resources to help you raise awareness, improve understanding and communicate the vital role of Career Technical Education in the nationâ€™s future. The Learning that Works campaign provides you with a variety of materials to help you advocate for CTE in your community including fact-sheets, talking points, videos and even state-specific logos. Get a quick overview of the campaign with this one pager. 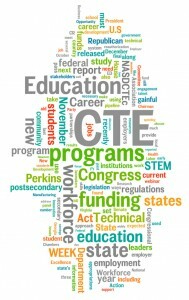 A variety of states proclaimed February CTE Month, including Virginia, Alaska, North Dakota and Wisconsin. This month we encourage you to utilize the CTE: Learning that Works for America campaign resources to help you raise awareness, improve understanding and communicate the vital role of Career Technical Education (CTE) in the nation’s future. The Learning that Works campaign provides you with a variety of materialsÂ to help you advocate for CTE in your community including fact-sheets, talking points, videos and even state-specific logos. To giveÂ you with a quick overview about how the Learning that Works campaign can be integrating into your promotionalÂ efforts during CTE month, we developed this 1-pager, which also highlights CTE branding examples. We encourage you to join the 49 states and over 700 schools who have adopted the Learning that Works campaign to communicate theÂ Â importance of CTE in your community.